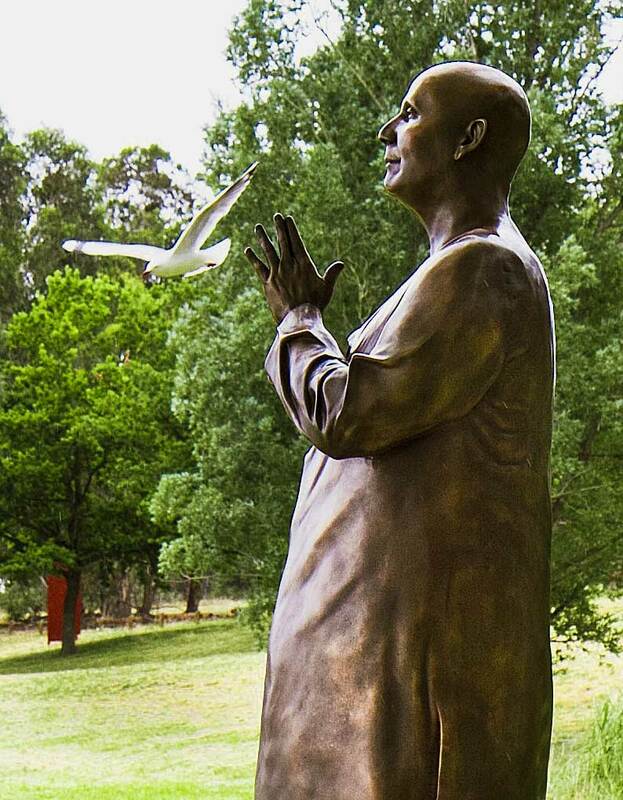 On November 24, 2014, another life-size statue of Sri Chinmoy as Peace Dreamer with folded hands has been inaugurated in Canberra, Australia. Here is a selection of pictures. Enjoy! More photos: peacerun.org. 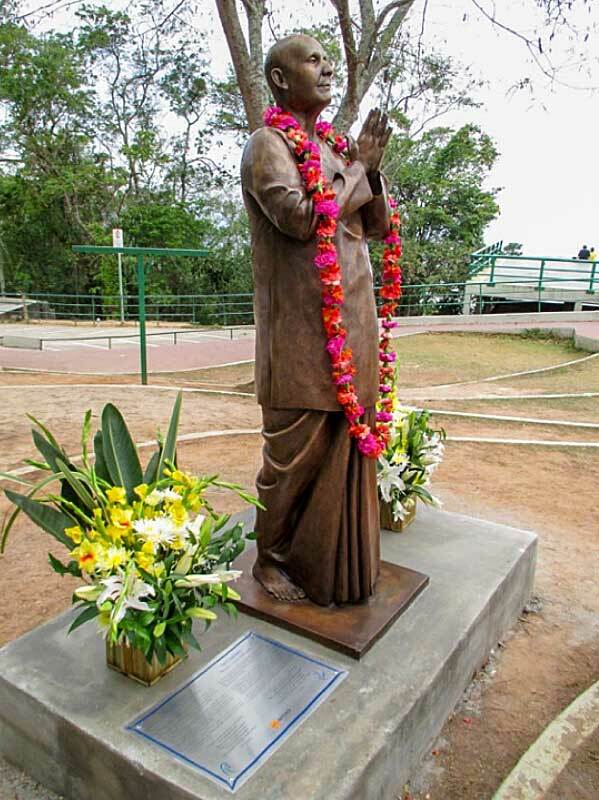 A new statue of Sri Chinmoy, produced by Kaivalya Torpy, was recently unveiled in the presence of Niterói’s Vice-Mayor Axel Grael in Niterói, Brazil. 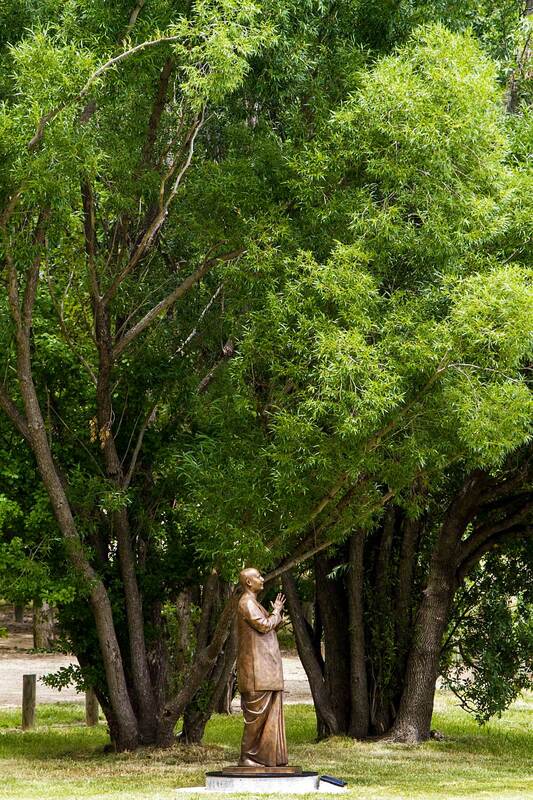 The statue’s location is in a very prominent spot in Niterói’s Parque da Cidade (City Park). It’s one of the most visited tourist attractions. 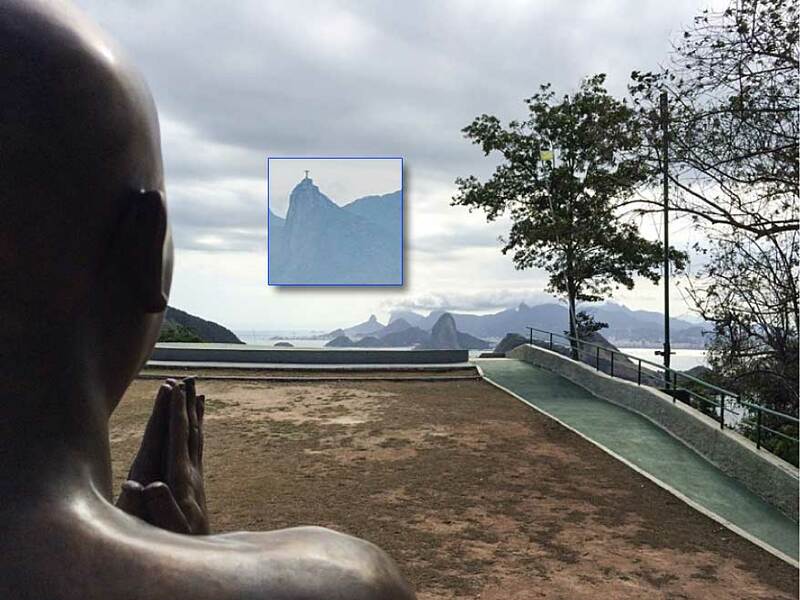 The statue is looking over the Guanabara Bay, directly towards another very famous statue in the city of Rio de Janeiro, the famous Christ statue. The younger you can become, the faster will be your progress. This is absolutely no joke! I am fast approaching sixty-five years of age. I shall do a few more things in this lifetime which I could not do in my adolescent years. I have already done the head balance, which I could never do, even when I was a champion athlete. And there are five or six more things I shall do in this incarnation which, at the time of my athletic career, I could not do. If you sincerely want to make faster progress, you have to have a childlike heart. By any means, I am begging each and every disciple to bring back your childhood consciousness. Your childhood consciousness is not silly, no. When you were a little boy or a little girl, you were a most beautiful flower. Then over the years age descends on us. We become fruits and then the fruits become rotten. So let us not grow into fruits. Let us only feel that every day we are blossoming, blossoming. Every day we shall blossom and place ourselves at the Feet of our Lord Beloved Supreme. To each and everyone I am saying, try to make yourself young. Feel that you are only seven years old if you want to make the fastest progress. I assure you, this is the most effective way to make the fastest progress. Do not think that you have to be childish. It is not childish but childlike that we wish to become. God Himself is childlike. When we are childish, we do many, many stupid things. But to go back to our childhood days is not a stupid thing. If you really want to make progress in your life, this is the only way to think of yourself – as young as possible. It is the mind that makes us feel we are too old, we are useless. This mind has to be silenced by the will of the heart, by the will of the soul. God is always asking us to silence the mind, the mind that tells us we are too old, we are helpless, we are useless, we can do nothing. We must tell the mind that says we can do nothing that the mind itself is nothing and we are everything. It is the light of the soul that can illumine the mind. True, it is a very, very long process, but the mind can be illumined eventually. If you silence the mind, the mind becomes like a tame and faithful dog. Now the mind is all the time barking and biting and frightening us: we cannot do this, we cannot do that. Age is in the mind; age is not in the body. When we think that we are old, that is the end, the very end, of our journey. Every day at every moment only think that you are a seven-year-old or a nine-year-old or ten-year-old, but do not think that you are over thirty. Do not make it into thirty-one and absolutely not into forty-one! If you cannot make yourself into a seven-year-old child, then at the maximum think of thirteen. Just imagine! Imagination is a reality of its own. Imagination is a world of its own, but you have to bring down that world every day or you have to enter into that world. I always say that physical fitness is of paramount importance. Inside the body is the soul. The soul is not somewhere else. Inside the body-temple is the shrine. If we do not keep the temple in proper condition, the shrine will be totally ruined. So take exercise, lose weight, those who have to lose weight. Those who are physically weak, become strong. Keep your body fit if you really want to make progress. There are some schools of thought that say the body is useless. 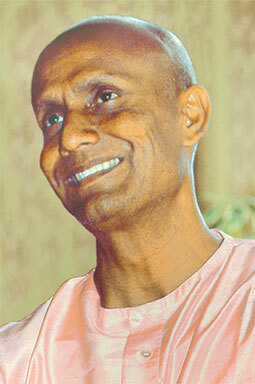 Ramana Maharshi and others said to meditate and meditate. I also say the same, but since you are following my path, I must add that the body also plays a most significant role in our spiritual life. Let us strive for physical fitness, not world championships! We shall progress, we shall transcend and transcend, but our goal is physical fitness. There are some men and women, specially some women, who have surrendered to age. I am telling you that you have to surrender to the heart, not to the mind. If you surrender to your heart, you can make progress every day. If you surrender to your mind, your progress will come to a complete halt. Even if you do not want to take exercise early in the morning, try to make yourself feel that you are quite young. Just go outside and see what happens. Then, while you are walking, try to walk a little faster. While you are doing anything, make the movement faster. Bring back your childlike days when you used to run and play with utmost joy. 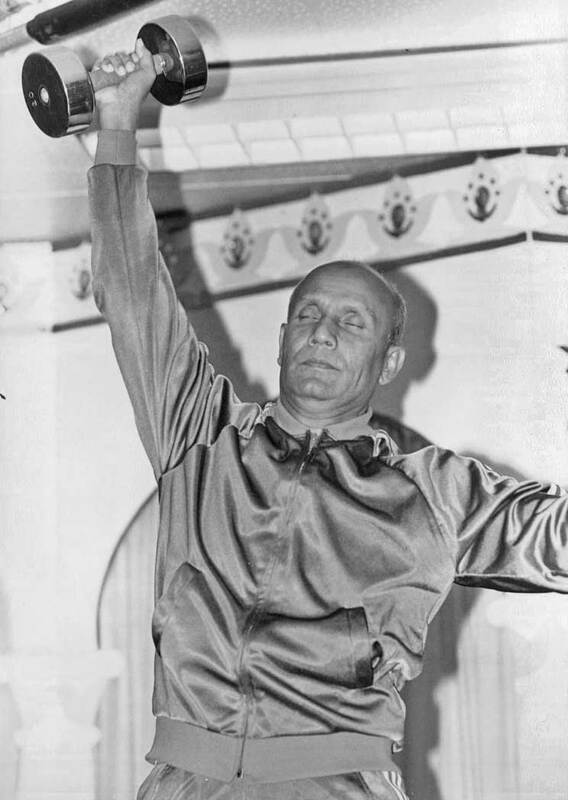 From the film “One day in the life of Sri Chinmoy” this powerful sequence shows Sri Chinmoy meditating at his home in Queens, New York in the 1970s.